On this page, you will find all there is to know about the various Software updates for Timberman VS on Nintendo Switch (originally released on May 3rd 2018 in Europe and North America)! How to download updates for Timberman VS for the Nintendo Switch? 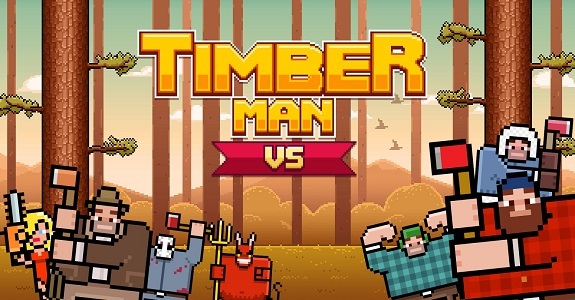 Timberman VS – Ver. ??? Added language support for German, Spanish, French, Italian, Portugal, and Russian. Branch positions lowered to match original. Disable JoyCons disconnection via pressing B Button in game mode engagement screen.